WORK READY STABILIZER-- MAY NEED A FEW LITTLE THINGS, SERVICE, ADJUSTMENTS, ETC. 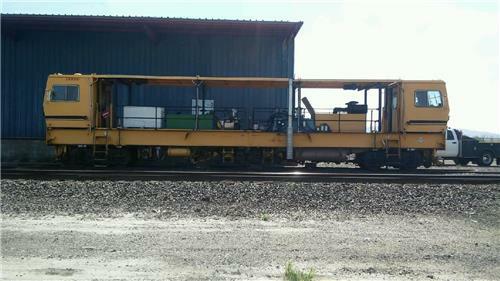 THIS UNIT HAS BEEN SERVICED EVERY TWO YEARS FOR THE LAST 6 YEARS BUT WAS NOT USED ON THE TRACK DURING THAT TIME. IN READY TO GO TO WORK CONDITION. LOCATED NEAR OKLAHOMA CITY OK. IN A RAIL FACILITY AND CAN BE LOADED OUT FROM THERE.